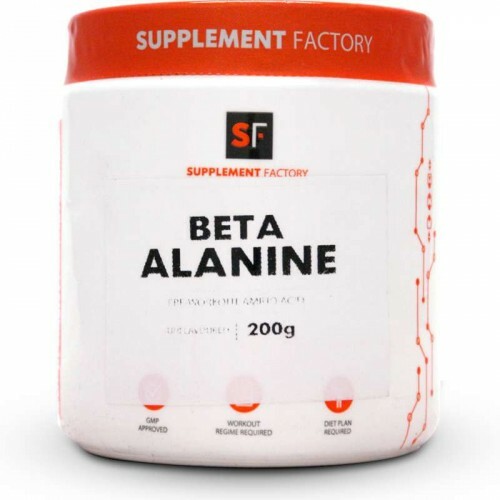 Supplementation with β-alanine which is found in Supplement Factory Beta Alanine has been shown to increase the concentration of carnosine in muscles, decrease fatigue in athletes and increase total muscular work done. • Take 4 capsules 10 minutes before training. Use as directed. 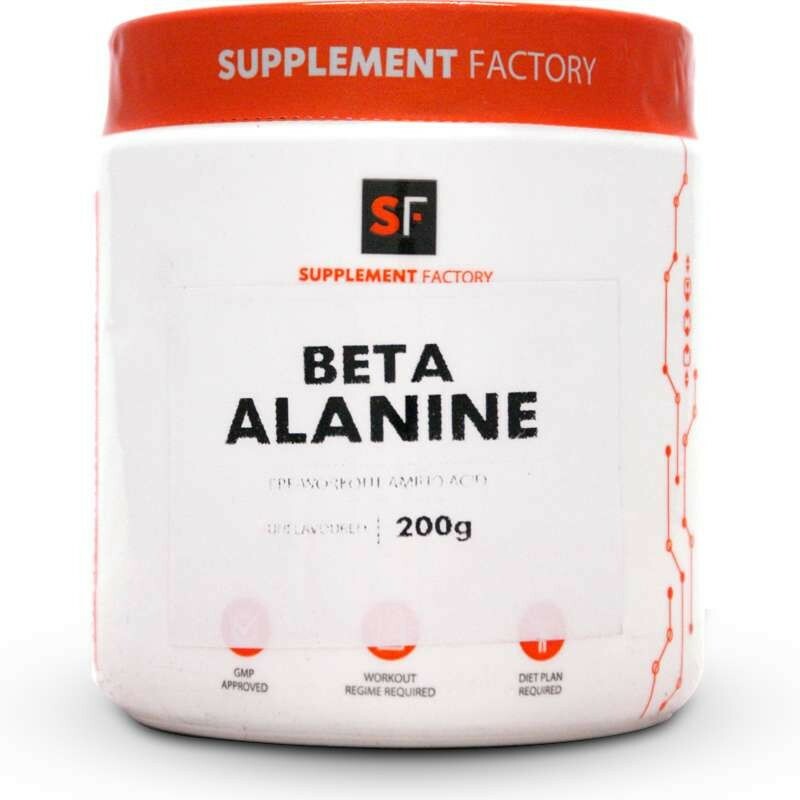 This product is not a medicine and not intended to diagnose or treat any medical condition. Consult your doctor before use.